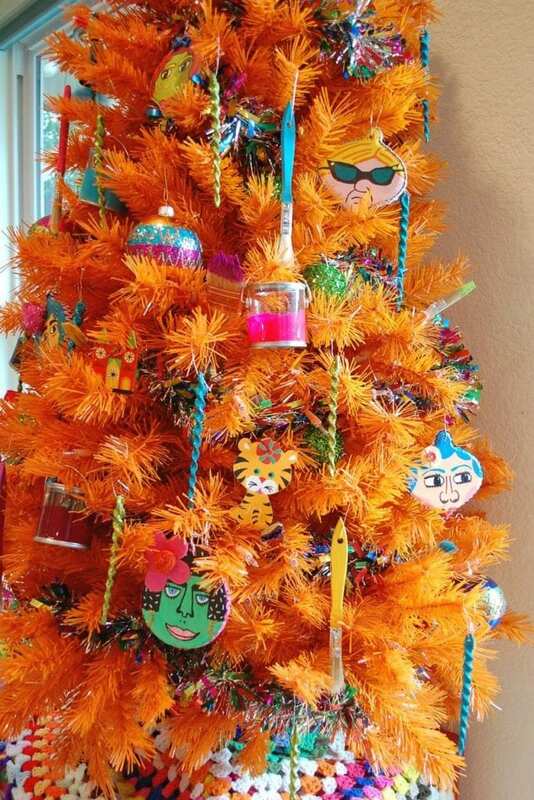 I know what your thinking: how does one decorate an orange Christmas tree (and why)? Well for starters it does not have to be just for Christmas I’ve decorated an orange tree for Halloween, Valentine’s Day, Thanksgiving and yes Christmas. 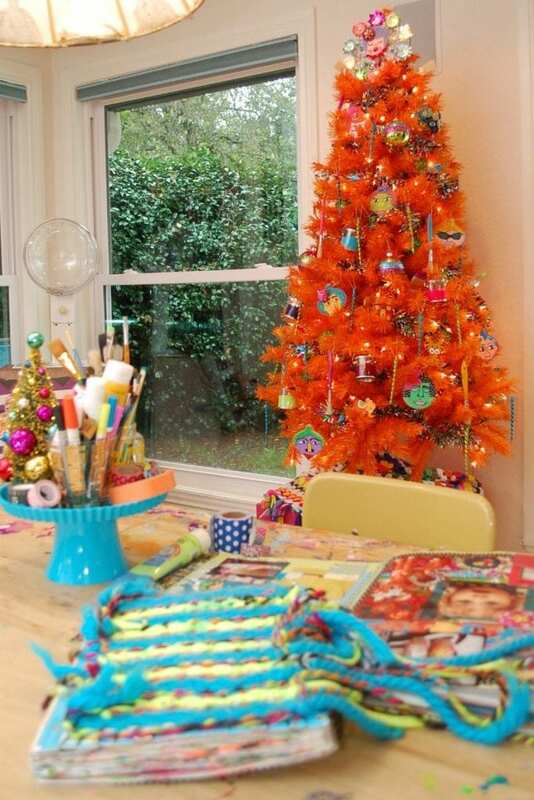 So read on if you have ever debated adding an orange Christmas tree to your colorful forest. After this, there will be no doubt in your mind. The most obvious use for an orange tree is for Halloween. 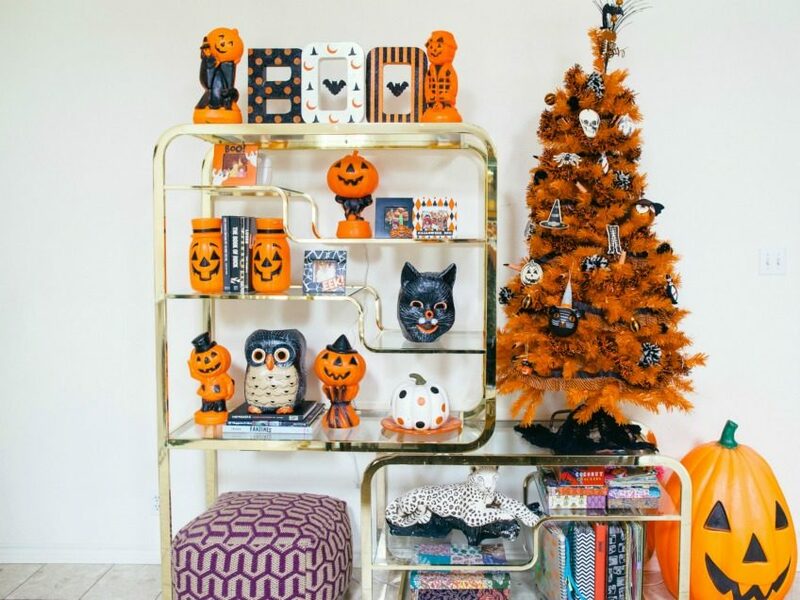 Check out my post for DIY Network – 9 Ways to Decorate a Tree for Halloween. Or maybe it’s just obvious to me. Either way throw some custom stenciled spiderweb ornaments on your orange Halloween tree and things start looking festive. Less obvious than Halloween is an orange Valentine’s Day Tree. I’m a sucker for hot pink and orange. 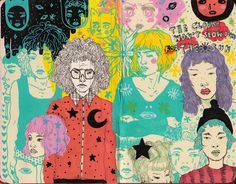 This groovy color combo goes together like Sunbutter and Jelly don’tcha think. 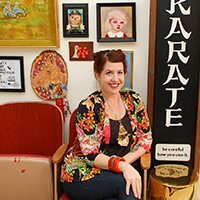 Make your own custom heart shaped ornaments, display your collection of vintage Valentine’s Day candy boxes or just sprinkle with hot pink goodness and love is in the air. Let’s start by saying that I have a Christmas tree on display for one reason or another almost all year long. 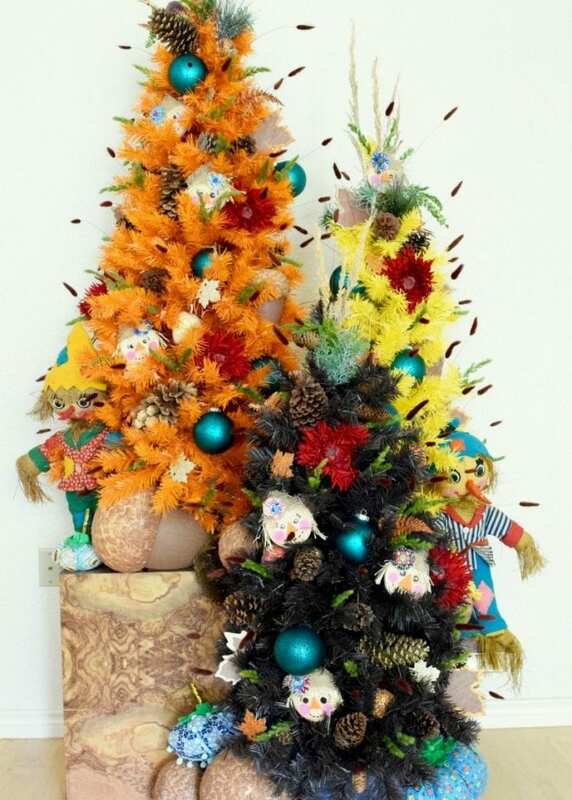 Whether it be National Thrift Store Day or because I felt like my yellow tree needed to be a pineapple – there is almost always a Christmas tree up in my house. 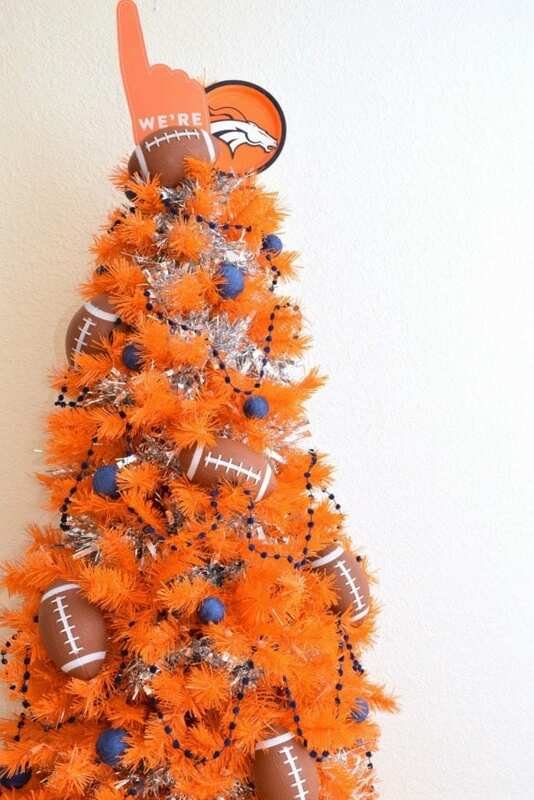 That being said it should come as no big surprise that I once decorated a Super Bowl tree for the Denver Broncos. I’m not a football fan (it was a work assignment) but all things considered toy footballs and paper plates look pretty dang cute on a tree. What team are you rooting for? 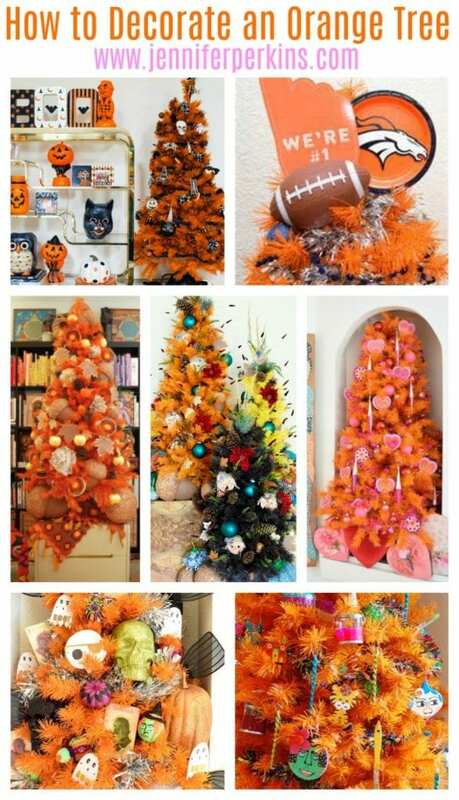 Auburn, Longhorns, Beavers or Broncos – they all look great represented on an orange tree. Truth be told if you put your orange Christmas tree out in October for Halloween, you could easily transition it into a fall or Thanksgiving tree. I’ve even got a post on how to make these adorable DIY Scarecrow Ornaments to adorn your tree with. Sorry the giant stuffed dudes are vintage and live in my closet in the off season. P.S. Why just have one tree out, when three in festive fall colors are so much better. 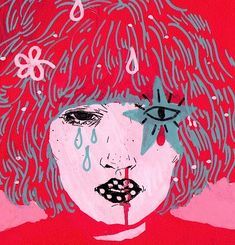 Remember that time I said I really had a thing for hot pink and orange? Well the love affair continues all the way into Christmas with this fun tree. Thanks Jennifer M Ramos for the gorgeous pictures. Sometimes you have to make your own ornaments like these DIY Snowflake Straws for HGTV and the lovely hand painted ladies from my Jennifer Perkins Art store but it’s worth it in the end. One of my very favorite parts of decorating a Christmas tree, no matter what the color, is picking the perfect theme. 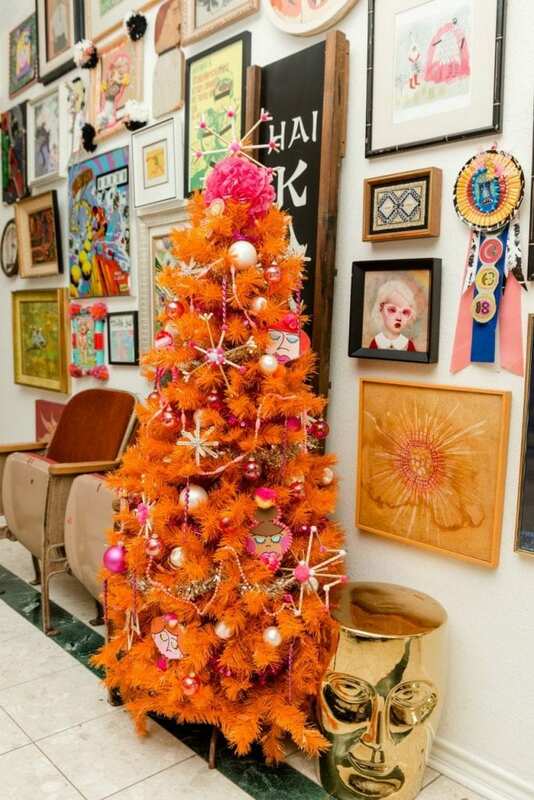 This tree was part of a series for DIY Network called 10 Totally Outrageous Retro Christmas Trees. This one was made with an arts and crafts theme to be displayed in the art studio. Full of tiny paint cans, paint dipped brushes and hand painted ornaments – perfect for a creative’s Christmas. 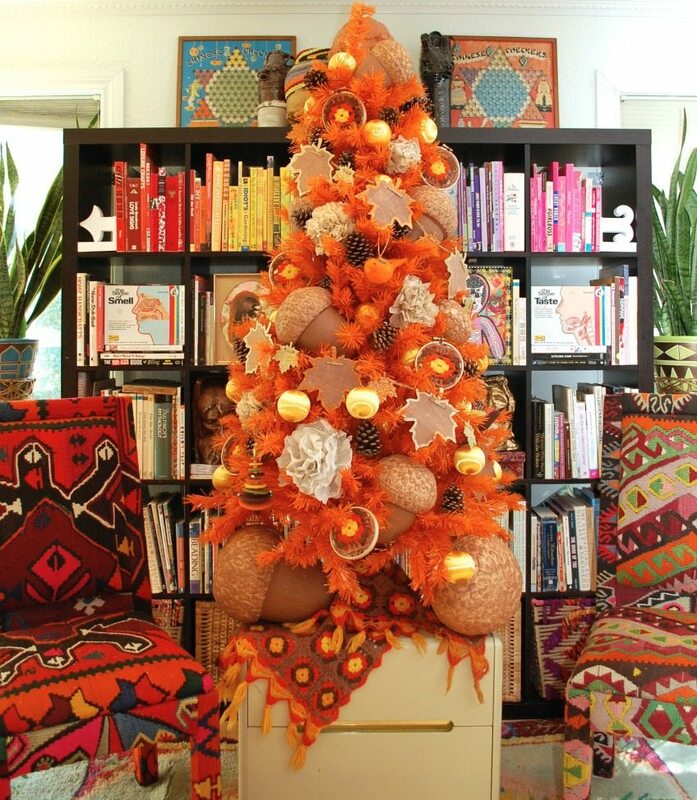 An orange Christmas tree works so well at Halloween I had to do it not once, but twice! 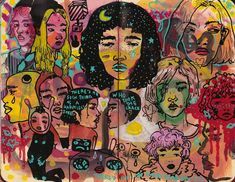 This tree was full of fly swatters, vintage monster playing cards and these fun little witches I made for the Eighteen25 Blog. 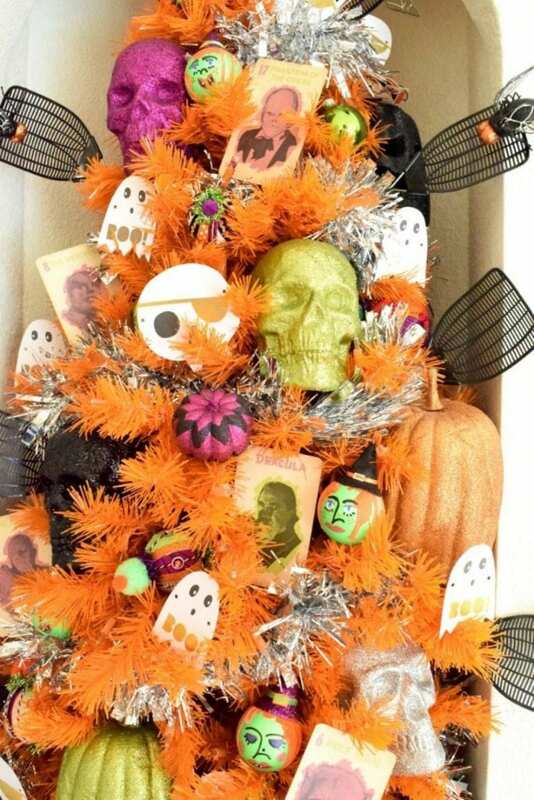 I might have to recreate this EXACT tree again this Halloween. Oh who am I kidding, I never decorate the same tree the same way twice. I like big nuts and I can not lie. I also like to stash them in my orange Christmas tree come fall. They look so perfect for turkey time. Throw in some vintage crocheted granny squares and you can almost smell the pumpkin pie just looking at this bad boy. Remember, put your orange tree up for Halloween keep it up for fall, Christmas, Super Bowl and Valentine’s Day. I’m sure you could make it work for Easter too! Have I converted you? Feeling differently about orange Christmas trees now and how they can be used for so many other holidays than just Christmas? Love to know if you are strictly green, strictly trees at Christmas only or strictly just real trees. Did I mention they can flock real trees now in colors? Like orange perhaps! Want more pictures of trees! Sure you do. Halloween Home Tour – Get a close up of that orange tree! Easter Home Tour – No orange trees, but still a heck of a holiday home tour! 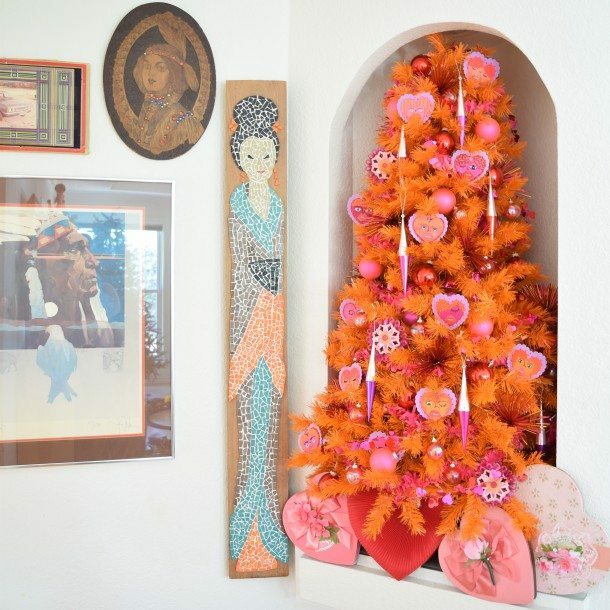 Christmas Home Tour – Keep an eye peeled for an orange Christmas tree! 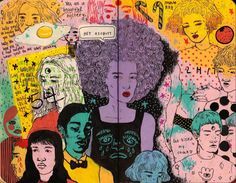 Posted August 6, 2017 & filed under Articles, Christmas, Halloween, hgtv, Holidays, Parties, Thanksgiving, Valentine's Day.